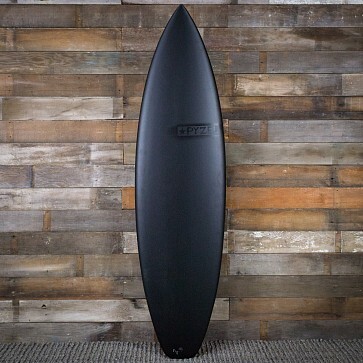 The Pyzel Shadow Stab Edition 6'2 Surfboard is designed to give you the advantages of a wider, forward outlined type of board but in a sleek, modern package. 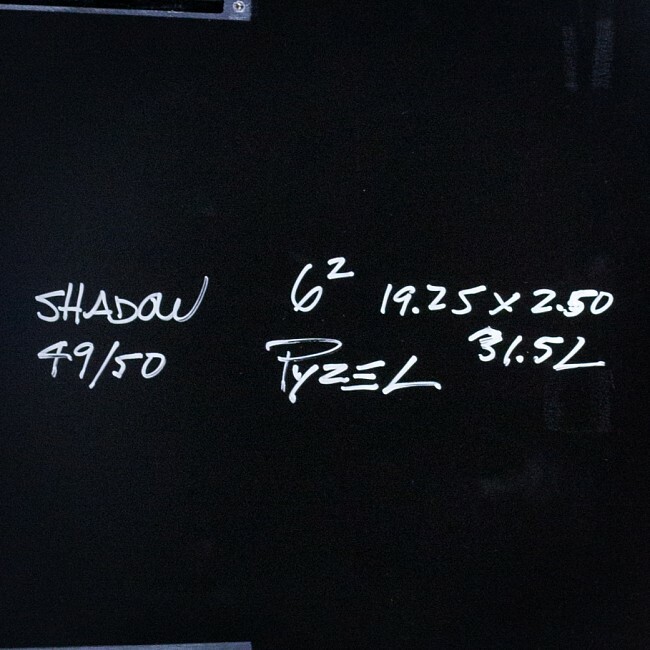 It features Pyzel's version of a high-performance outline, but with the wide point at the center not behind. Pyzel pulled in the nose by almost a ½ inch and added some extra rocker through the last 12'' in the nose to keep it free through critical turns. It has a gentle hip for looseness and the squash tail is pulled in to help tighten the turning radius and improve its vertical capabilities. The tail rocker and bottom concave remain nearly identical to the Phantom, which has proven to work really well in everyday conditions in waves around the world. 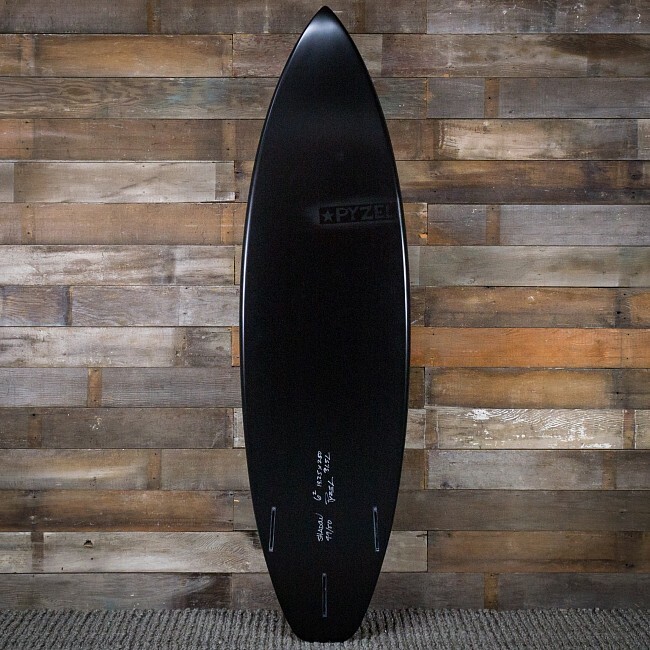 For the 2018 Stab in the Dark project, Stab Magazine asked for a 5'10 ½'' board for a surfer who was 5'10'' x 165 lbs (turned out to be Mick Fanning) for waves that were good but weren't overly powerful. Jon wanted to make something fresh and new, but to start off with something that was tried and true. 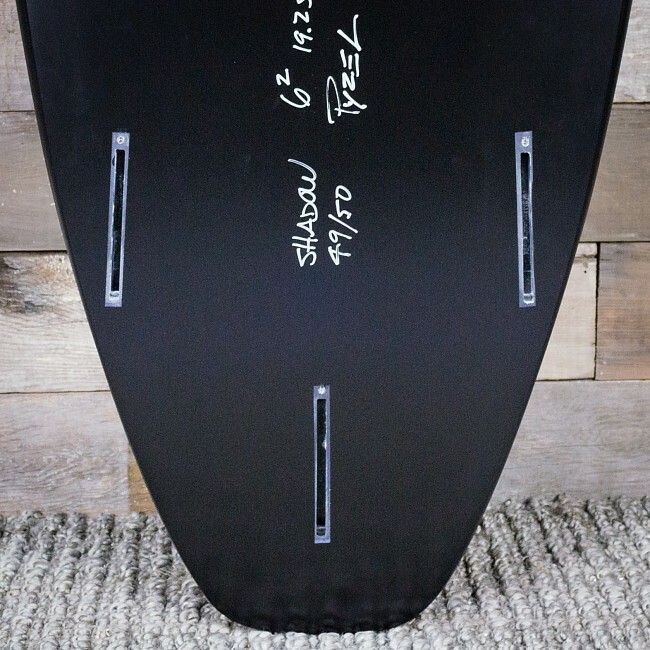 Knowing that the Phantom is a great board for those types of conditions he decided to start there and redesign it as a more refined, high-performance shortboard, while still keeping the added flow and glide that defines the Phantom. 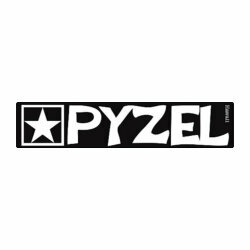 Pyzel's new ElectraLite Epoxy Tech boards are built to replicate the ultra-lightweight feeling of a Pro board, but with more strength and durability then PU. These decks are handmade in the U.S., are light and strong, and have an engineered flex that is designed to last. Pyzel uses Marko Recycled Stringerless EPS blanks and Epoxy resin to minimize environmental impact in production. Custom designed Web-Fused Carbon reinforcement is used on the bottom and the deck for long lasting resilient flex memory and then glassed with 4-ounce bottoms and 6/4 ounce decks with a combo of E and S cloth. The result is a very light board with an excellent strength-to-weight ratio, added flotation for better paddle power and a fresh and lively feel.